Let’s start with the inelegant title of Lucy Kirkwood’s gripping yet ultimately inelegant play. “Chimerica” suggests an investigation into the relationship between the two superpowers of the day in the broadest possible terms. And that is exactly what we get: a clunky collision of stereotypes loosely united by history and the ersatz mystery, where is the “Tank Man” of Tiananmen Square 25 years on? There is a panopoly of characters on show, but the action rests on two fictional creations. 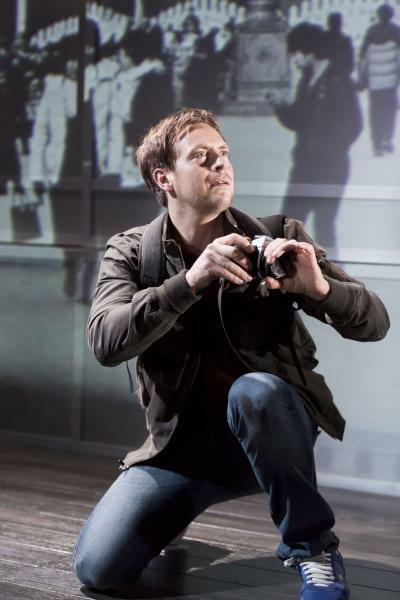 In the American corner is Stephen Campbell Moore as Joe, a photographer who snapped the events in 1989 and is now determined to track down the iconic protestor. Selfish, self-righteous and increasingly desperate, Joe is the personification of US zeal, caring little for anything or anyone other than his ultimate goal. In the Chinese corner is Benedict Wong as Zhang Lin, a painfully passive survivor of the massacre, haunted by memories but unable to address his past in any meaningful way. The two actors do their best to inject some humanity into this highly schematic set-up with Benedict Wong in particular proving himself to be a mighty stage presence. Despite some nice jokes and the odd flash of insight, there is something inexorable about the way the story lurches through its checklist of clichés and received wisdoms, trying to put the whole Chinese diaspora into some sort of order. The device of the detective story helps somewhat to disguise the impossibility of this ambition until things fall apart towards the play’s end. The final twists confirm that this was only ever really a pretentious thriller with cursory relevance to the big subjects it raises. It’s a messy thesis seemingly based less on journalistic field-work than ideas culled from books and movies: hard-boiled hacks and hungry ghosts and Kafkaesque policeman. One moment that rang especially false was the Chinese fish-wife joking about her son’s death and the one child policy. All that said, it was an entertaining spectacle courtesy of Lyndsey Turner’s ingenious staging – a revolving Chinese puzzle box that looked like a cartridge of camera film unspooling. It added to the idea that this production is less about geo-politics and culture clash than an invitation to Hollywood to turn the play into a movie. Hopefully, by the time that happens, the ideas within it will have matured. 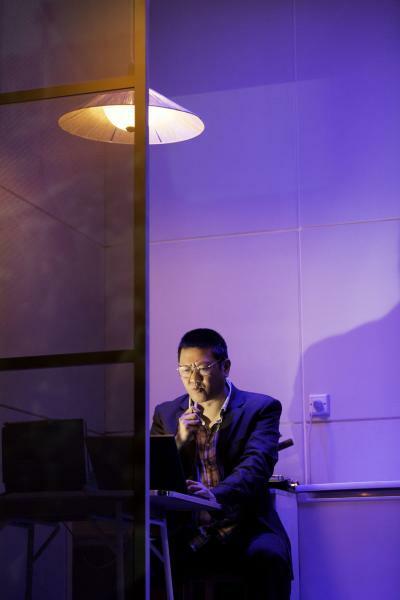 Chimerica is at the Almeida Theatre, off Upper Street, until 6 July. Tickets £8-£32. For more information and to book, see the Almeida website. Londonist saw this production on a complimentary press ticket.